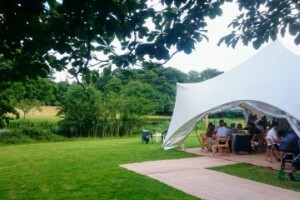 We are an outside event and wedding catering company therefor caters regularly at new venues, in marquees, wedding tipis and at home parties. 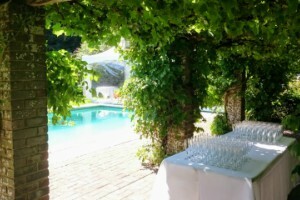 We can source wedding and event venues from Sussex to hidden gems in London. Over the years, we have established tight relationships with some magnificent event and wedding venues in and around Sussex. Stunning barns just on the outskirt of Worthing, West Sussex. 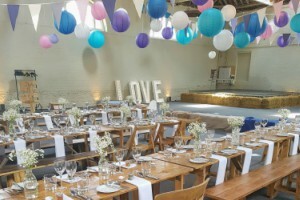 Selden Barns has 2 beautiful barns for events and weddings. The largest barn is all dressed up and versatile for small and large weddings and events from 50 to 250 guests. Selden Barns gardens has breathtaking views over the Southdowns and we are so chuffed to be one of their few preferred caterers. Set in beautiful private grounds near Billinghurst, Rumbolds barn is a beautiful 16th Century barn holding up to 112 with the possibility to add a marquee. The patio area, gardens and lac offers additional space for alfresco drinks reception and stunning wedding photos. Rumbolds has cottages for your wedding party and a camp site to keep the party going. 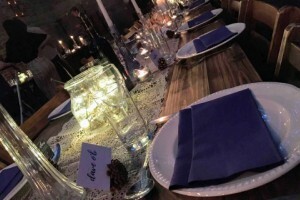 The surprising Tudor room holds up to 200 guests for a sit down meal and is located in an ideal location if you are looking for larger Brighton Wedding venue or party venue. Bhasvic wedding venue lets you tailor the venue to suit your wishes and we can provide your chosen menu by setting up a field kitchen for your chosen wedding or party menu. Kingswood marquee site hire is a unique dry hire wedding venue as well as party, event and festival site. Set within the Southdowns near Findon, West Sussex. We can help you find the ideal marquee and cook delicious menus for your party, from wedding BBQ to sharing platters or 3 course traditional wedding breakfast, perfect for an outdoor wedding. Firle riding school offers 4 different spaces for your wedding, including a short walk to the beautiful St Peter's Church. 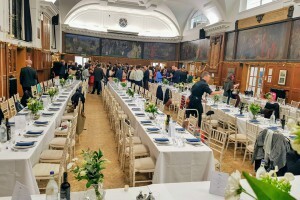 The Georgian Riding school comfortably seat up to 300 guests and can be separated into smaller spaces. There is a beautiful area over looking and large marquee area too. Perfect grounds for a traditional self contained wedding. Set in the heart of rewilded Repton Park and view splendid views overlooking Springwood Pond. 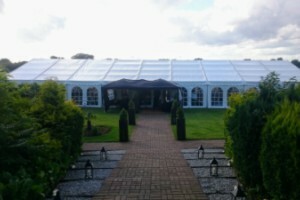 This marquee site is available from May to September for events and weddings. 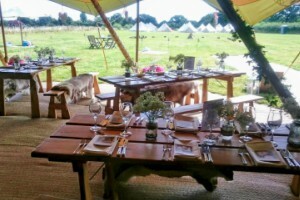 Whatever your choice of marquee, from tipis, yurts or traditional maquees, this beautiful marquee site is steps away from facilities and a kitchen is also available on site. Just on the outskirt of Eastbourne, this stunning wedding venue offers a beautiful Tudor room as well as a large marquee site, camp site and a lovely swimming pool for your alfresco drinks receptions and the day after or midnight dip! We've organise weddings of 120 seated guests in the Tudor room and the marquee site offers larger options. The gorgeous gardens will make for lasting memories and photos. 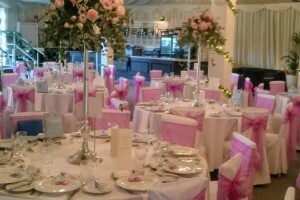 Zinnia Gardens in Croydon, event and wedding venue near London offers a unique marquee site hire near London. 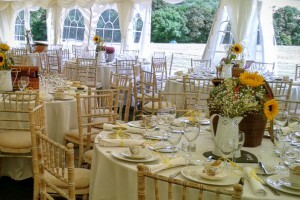 Having catered there in the past we are fully aware of the setting up on the day requirements as well as setting this lovely marquee site in Surrey offers. The perfect setting for a bespoke wedding and event. 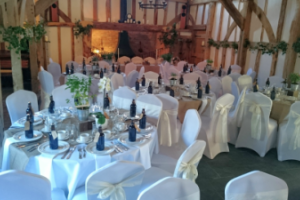 A stunning barn barn near kilford which is beautiful all year round, and has a stunning log fire for your winter wedding. A closed patio area for your drinks reception whilst we turn the barn around for your wedding menu following your ceremony. This beautiful barn holds up to 120 guests. 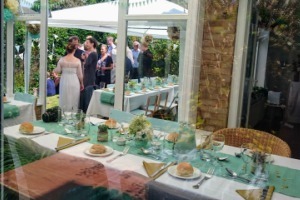 Over the years, we have organised events, parties and weddings in many homes all over the South of England. 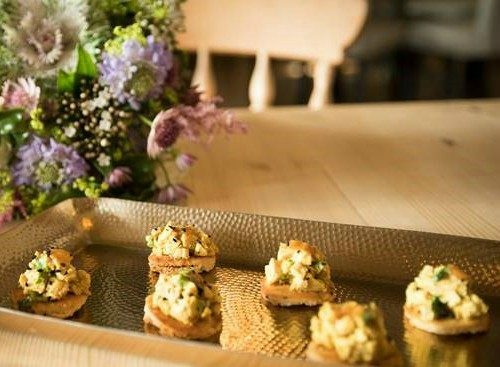 From using the kitchen available onsite to setting up suitable field kitchen, we've catered full wedding menus for bijoux weddings to large bowl food wedding menus for over 200 guests. We're able to advise on the bet sway to use the space available, cater and use your home spotless for you to relax when your guests have left. We specialise in marquee weddings and can help you source a suitable marquee for your wedding, from tipis, yurts, traditional marquees or modern glass top marquees. We'll also advise on power requirements to make sure you don't run out. We'll set up a field kitchen suitable for your chosen menu, from traditional 3 course meal to family style sharing platters or wedding barbecue. Food Catering for your Event at your chosen venue. We work in many varied exciting and restrictive venues throughout the year. Feel free to contact us to organise a meeting at your venue so we can discuss your wishes. Or contact us to come along to our next tasting day.